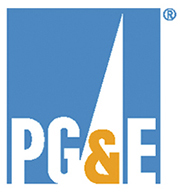 This PG&E pilot program focused on converting master meter mobile home parks to individual gas and electric meters at each mobile home space. The project is Design/ Build and spans 74 mobile home parks with 7,400 mobile home spaces across Northern California. This series of projects took place under a program mandated by the California Public Utilities Commission (CPUC). The CPUC is upgrading the electrical and gas systems of hundreds of mobile home parks throughout California to make them individually metered and safe.